After the successful release of part 1 (who said the CD format is dead? 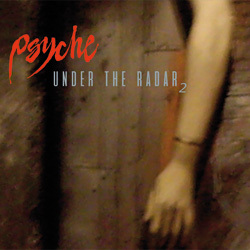 ), VUZ is proud to announce the second part of this compilation of rare and unreleased tracks. It collects vinyl only tracks like "Youth Of Tomorrow" (taken from Psyche's 12" of the same name) and "Thunderstruck" (a collaboration with fellow Canadians Rational Youth - previously only available on a sold out 7"). Speaking of collaborations: Also featured are tracks made with No More ("Ghosts Of The Past" - the Shade Factory Mix is a fanfavourite at recent concerts), Invisible Limits ("Torch") and Bastards Of Love ("Martin"). People like Joseph Watt (of Razormaid fame), Icon Tyler Cox and Per-Anders Kurenbach had a hand in various tracks. This collection will please the completist as well as the occasional fan. As it features several tracks from the recent live set, its also a good starting point for the newly converted.